In August 2014 during what turned out to be the last few months of the Napthine Liberal Government it had become very apparent that Victorian State politics had gone from being design smart to design stupid in a matter of a few of years. First up on the checklist is government consultation with architects and the key organisations. Last year it was quite astonishing and very concerning to report that in Matthew Guy’s 4 years as Planning Minister he had only one face-to-face meeting with the Australian Institute of Architects. It is therefore very pleasing to be able to report that within 10 days of taking his office, the new Planing Minister, Richard Wynne has already equaled Matthew Guy’s total number of AIA meetings. In 2012 the Liberal Government made the unexpected announcement that the Architects Registration Board would be merged into a new body the Victorian Building Authority. Despite the talk of pushing this change through, the draft legislation was never passed through the parliament, due in part to the 2014 Geoff Shaw political crisis. This has left the Architectural profession guessing as to how registration and the Architects Act will be administered in the future. The good news however is that this uncertainty is very likely to be resolved in the next few weeks. At this stage it also appears most likely that the ARBV will retain it’s current structure as a stand alone entity as it has since its inception in 1923. This has the additional benefit of aligning with stand alone registration boards in other States and Territories. It is sincerely hoped by R+BA that in the future a National Architects Registration Board could be developed to facilitate a more interconnected and mobile profession. The next organisation to address is the Office of the Victorian Government Architect. Here there have also been very positive meetings with Richard Wynne discussing the importance of the OVGA to Victoria’s future. First the good news. It appears likely that the OVGA will be moving back to where it belongs, reporting directly to the office of Premier and Cabinet. This is where the OVGA can undertake its best work, independent of undue influence with a direct line to the most powerful office in the government. Discussing this exact issue, Michael Bleby recently wrote this piece for the Australian Financial Review. However there is more to fixing the OVGA than just its place in the family tree of influence. It has been almost 12 months since the last Victorian Government Architect, Geoffrey London who is featured in the video interview above, gave notice of his resignation of the role. Since September 2014 the chair has been empty. Now is the time to appoint the next Victorian Government Architect. It would be a very simple step to take and would immediately help the process of finalizing the controversial yet urgently needed minimum apartment standards. The solution could even be to promote Jill Garner the (brilliant) Associate Government Architect to the position of VGA and then hire a new replacement associate. The other urgent piece of business at the OVGA is to address the funding of the Victorian Design Review Panel. Since 1 July 2014 the OVGA has been forced to go to a watered down ‘user pays’ service which limits the availability of this important review process. The cost of bad design can be extreme and persists for the life of the building. If we can design buildings better by subjecting them to thorough expert scrutiny, we can substantially reduce these negative consequences. 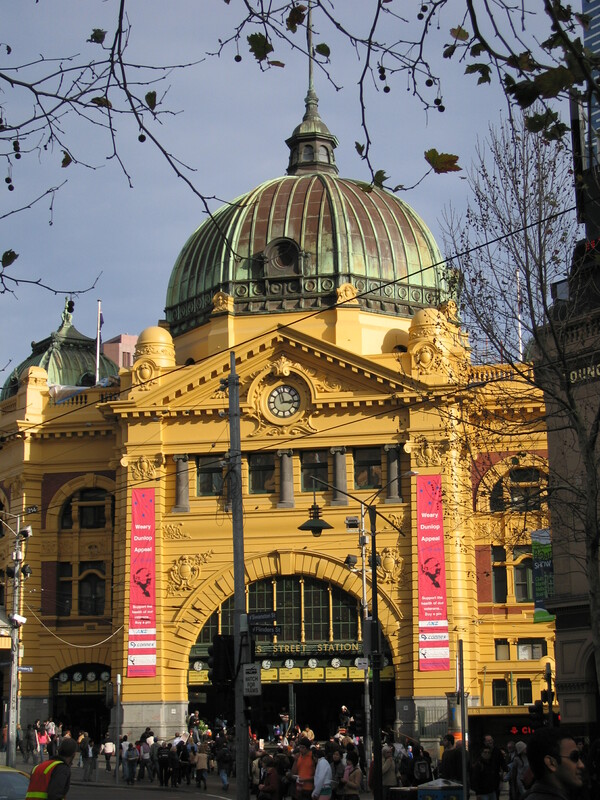 In 2013 Melbourne’s most important landmark was the subject of a major international architecture competition to scope the future possibilities for improving the site. This was a fantastic initiative by the Liberal government which enabled a genuine discussion about real possibilities for the future. Despite subsequent criticism from some quarters, the competition was very good value for the taxpayer and generated thousands of response from an engaged public. Since then it has been left as an unanswered question as to if the winning design will be built. The Liberal Government never promised that there would be funds available and as time passed it seemed more and more likely that the project would not get off the ground. With the change of government came the predictable move to permanently shelve the redevelopment plans. This decision is a real win for small picture, short term thinking. This building is not just a piece of infrastructure like a power station or toll road. It is our most iconic and identifiable piece of architecture that holds far more value as an icon than as a train station. In the only upside to this saga the new government has committed $100 Million in funds to seal the leaking roof, restore the facade and upgrade the most talked about toilets in Melbourne. Casual observers of this announcement may have been misled into thinking that this funding would also extend to restoring the ballroom and other interior spaces. Upon reading the fine print however, this funding will only extend to preparing a business case for interior restoration. Describing the enormous effort of some of the world’s very best architects including Pritzker Prize winners as mere ‘colouring-in’ is an absurdly offensive attack on both Architects and Architecture. It is hard to recall an instance where an entire industry or profession has been so needlessly dismissed as frivolous in order to score political points. The change of government has seen a most significant change to the State’s infrastructure policy. 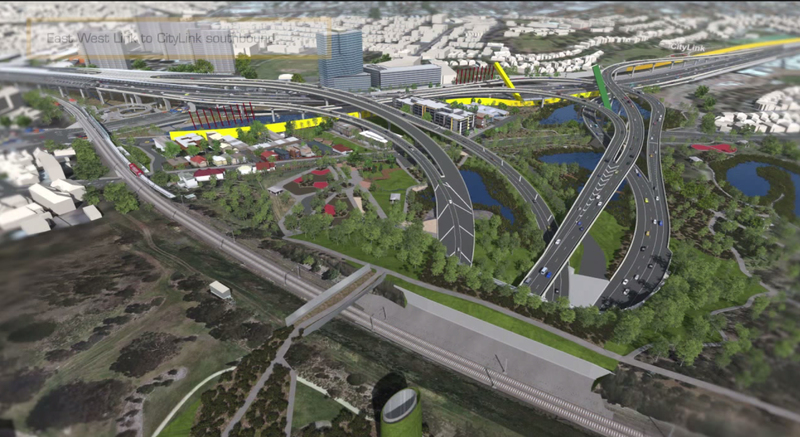 The 2014 Victorian State Election was described by the Prime Minister as “a referendum on the East West Link”. This has turned out to be quite true with the Labor Government standing firm on their pre-election promise of not building the toll road. This measure alone is undoubtedly a game changer and a lifeline for Victoria. At a price of $1 million per metre and returning just 45 cents of benefit for every dollar contributed, the East West Link would have crippled Melbourne financially whilst destroying several communities and devastating Royal Park. Whilst the political decision seems to have been finalized there is still much work to be done to permanently prevent this poorly conceived project from making a comeback. Firstly the Government is still in negotiations with the East West Consortium to cancel the contract without paying for the $1 Billion + super profits that the previous government was so happy to sign away in their morally bankrupt side letter. If this negotiation fails Daniel Andrews has implied strongly that he will take action in the Parliament to legislate a solution. Obviously the consortium should be reimbursed for expenses already incurred. As for claiming to be eligible for profits on a project that they never built, this is exactly the kind of big corporate behavior that sickens hard-working, honest individuals. The entire East West Link saga can be traced back to politicians bypassing crucial expert analysis to fast track a project for political gain. In order to reduce the undue political interference from future infrastructure investment, the Andrews Government has already begun setting up Infrastructure Victoria. This new body was one of the six issues lobbied for by the Australian Institute of Architects Victorian Chapter prior to the election. The idea of this body will be to act as an independent adviser to the government, which will hopefully also see a logical prioritization of projects based on actual publicly released and positive business cases. In the final piece of good infrastructure news, the Melbourne Metro Rail Tunnel has been given the new Government’s backing to proceed. According to Infrastructure Australia the Melbourne Metro Rail tunnel has a Benefit Cost Ratio (BCR) of 1.2 meaning that for every dollar spent we can expect $1.20 benefit. There has also been public comment by the Premier suggesting that the preferred procurement method may also be shifting from Public Private Partnerships to having construction funded by the Government and then sold off to private operators. Given the currently very low interest rates it seems difficult to fault that logic. All in all it has been a solid start for the new government. Having spoken with various stakeholders who have been dealing directly with senior members of the Government it seems that there is a cautious optimism about the direction we are heading. Whilst it has been a breathe of fresh air to have a government willing to have intelligent consultation with architects, there is much work to do over the coming years to address several areas of concern. Minimum apartment standards continue to be a very hot topic which will require real leadership to see through. The OVGA will have significant role to play here, which is why the appointment of a new Government Architect must be a priority. The Labor Government has also flagged potential changes to the Victorian Civil and Administrative Tribunal appeal process for planning decisions. This will be a very interesting discussion to have on where the line in the sand is. On the one hand is the right of an individual or company to build a project and on the other hand is the right of an individual or company to object. Perhaps one of the biggest issues we will have to face up to is housing affordability. The current system is pricing families out of the inner and middle suburbs, pushing them to the limits and forcing a high dependence on car travel. Single people and those in creative or caring industries are also finding quality housing difficult or impossible to obtain. The last thing Melbourne needs is a city like London where only the very wealthy are welcome to reside. If the new Labor Government can make inroads with this, they will well and truly deserve a second term. This entry was posted in all posts, construction industry, East West Link, Flinders Street Station Design Competition, Government Policy, News, Uncategorized and tagged architects registration board, Architects Registration Board of Victoria, Daniel Andrews, East West Link, Flinders Street Station, Geoff Shaw, Geoffrey London, Infrastructure Australia, Jacinta Allan, Jill Garner, Matthew Guy, Napthine Liberal Government, Office of the Victorian Government Architect, OVGA, Richard Wynne, Victorian Design Review Panel, Victorian State Government. Bookmark the permalink. Great article! If only more members of the public held their government to such detailed scrutiny more often. Conventional media only scrutinize to the level that suits an appropriate ‘look at me’ headline. The apartment standards are a dangerous line to walk if it is not quantitatively linked to the minimum hourly rate less expenses. Also architects and designers should be able to afford what they design without debt. Sarah I am a somewhat confused by your comments which link minimum apartment standards with the remuneration of architects. I would be interested to hear you elaborate on this further. Thanks for the summary, Michael? you’ve pinged all the important issues very neatly. I think though you’re a little more optimistic than I am. So far, the government has talked the talk, they really need to start walking it too to win my trust.